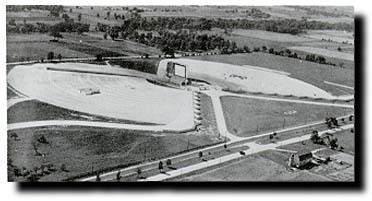 The 41-Twin was originally called the 41 Outdoor Theater when it first opened on July 1st, 1948. The theater had only one screen at the time. The second screen was added in either 1949 or 1950. 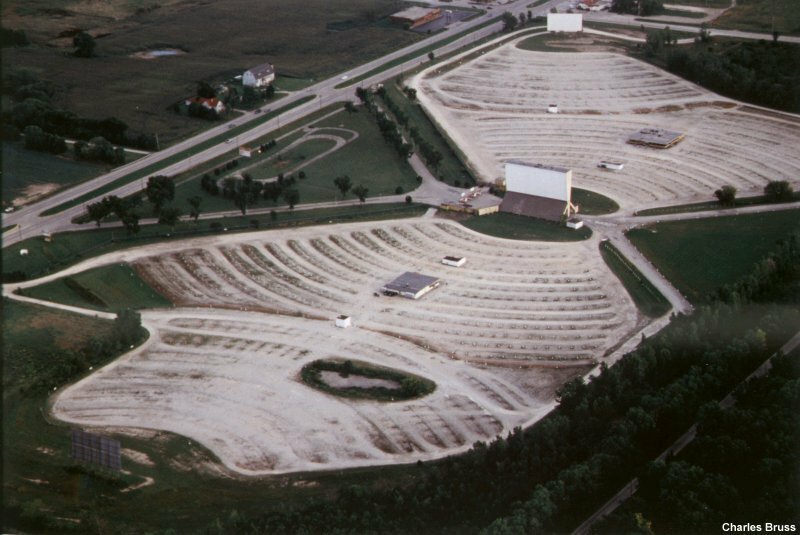 This was the second drive-in theater to open in the Milwaukee area. 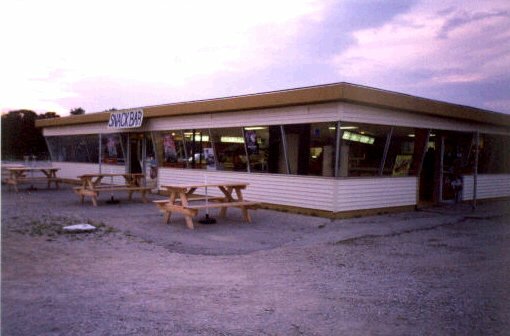 Only the Bluemound drive-in appears to have opened earlier. The 41 Twin used to operate some years until after Christmas and even some years was open all year around. It depended upon the weather conditions of the year. The 41 Twin used to have in-car heaters available for people to use during the winter months. They were small metal boxes with heat coils and fans to heat the interior of your car. The heaters would plug into the 220 volt plugs that were on the speaker poles. Most of the speaker poles at the 41 Twin still have these plugs on them. 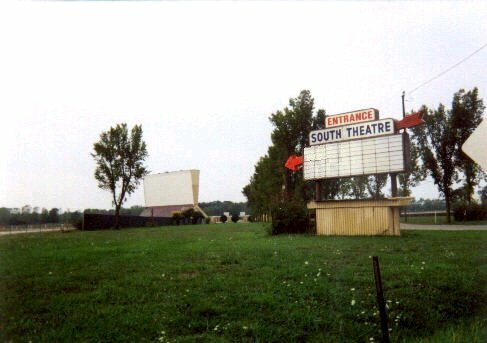 In 1981, the two additional screens at the north and south end of the theater were added. 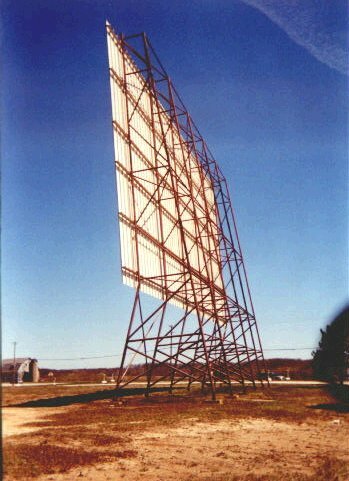 These were built without speakers, but with AM radio broadcast. Later the entire theater was converted over to radio broadcast and later to FM Stereo broadcast. 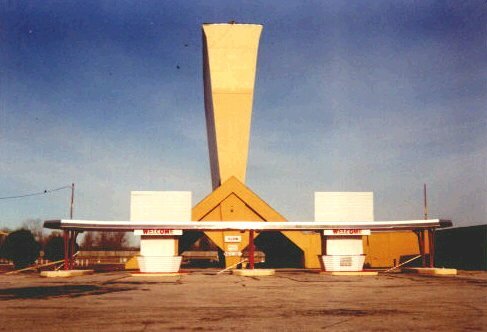 The 41 Twin drive-in theater is still in operation on the south side of Milwaukee. This theater is unique for several reasons. First, it has four screens. 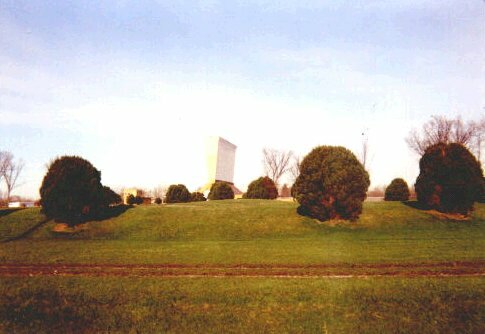 The two original screens are located in the center of the grounds. When you enter to pay for your tickets, you pass under the two center screens and then turn to the right or left depending upon which screens you are heading for. Each road splits in half after that and goes to its respective screen parking area. There are four projection buildings and two concession stands located at this theater. I've been to this theater several times in the last two years. Also, this theater runs first-run movies. 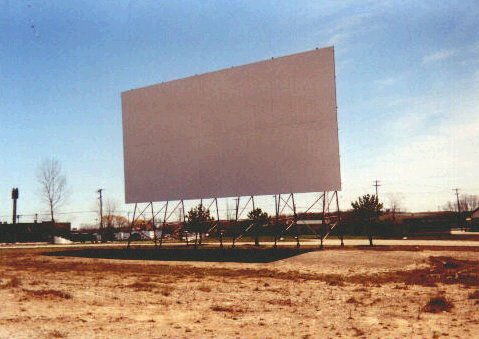 No waiting for the movies to leave the indoor theaters to come to these big outdoor screens. They have the big movies on their opening nights! Some of the movies that I have seen at this theater are Men in Black / Air Force One, Armageddon / Mafia, There's Something About Mary / Dead Man on Campus, and Henry: Portrait of a Serial Killer / Faces of Death IV. The last two movies were on an interesting night. There was a thunderstorm off to the south and north, while above us were stars, and off to the east, was a full moon! Talk about weird! Judging buy the appearances, they plan to be open again in 1999. There has been some fixing up of the grounds and some painting going on during the warmer weather months. The theater uses FM radio broadcast for all of the movies. 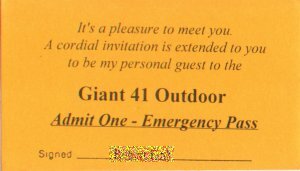 The theater was operated by Carmike cinemas, which is the largest theater chain in the nation which operates 2,700 theaters nationwide, and only one outdoor, the 41 Twin. According to an article in the Milwaukee Journal / Sentinel *, the owners of this theater have future plans for the location which include the continued operation of the theater. * See the article from the Sunday, September 6, 1998 Cue section of that paper. Recent information, including this article says that this theater may not re-open again, but no one is sure on the future of this theater. Here is a story that appeared in the 4/4/02 (Click Here) Milwaukee Journal / Sentinel. 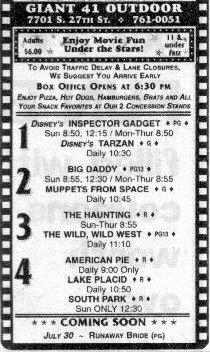 May 29, 1999: Went to the 41-Twin to see The Mummy and Patch Adams. They've done some improvements to the theater. 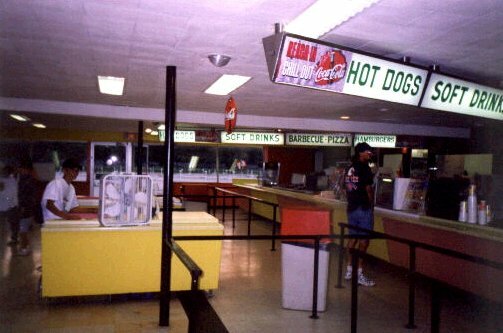 They've done some painting and have the concession stands looking nice again. There was a good size crowd and the weather was perfect for outdoor movie watching. The sky was clear and there was a full moon. 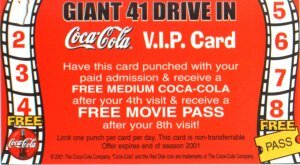 The price for admission is $6.00 per person for two first-run movies. 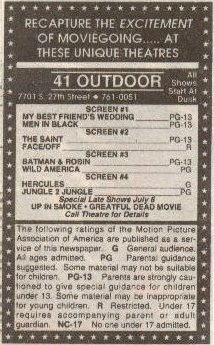 July 24, 1999: Made it there again and saw Inspector Gadget and Tarzan. The place was packed! Business seems to be doing quite well. The weather turned out great again, hot during the day, but cooled off for the movies and the moon came out. August 6, 1999: Back again! This time it was Runaway Bride and The Haunting. Another good crowd and good night for movie watching. I took some more pictures which can be seen below. August 20, 1999: Yet another trip to the 41-Twin. Inspector Gadget and The Sixth Sense were the double feature of the night. Being near the airport, there was quite a bit of air traffic including a small passenger plane came in right over the screen. September 10, 1999: Features for the night were Star Wars: The Phantom Menace and Runaway Bride. 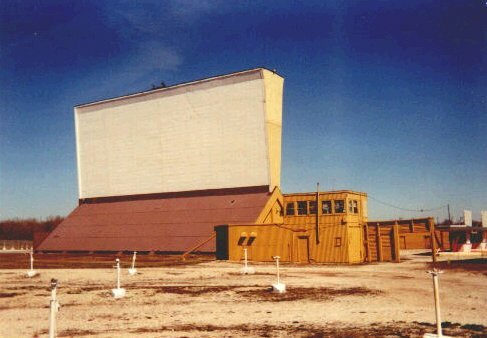 There's nothing like watching Star Wars on the largest screen in the Milwaukee area! 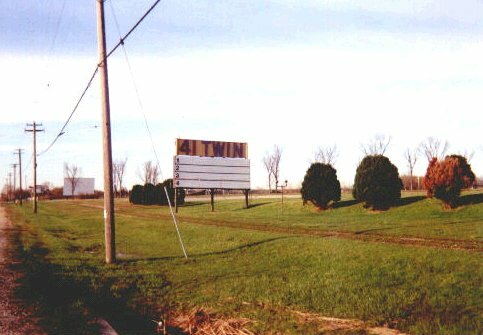 October 16, 1999: The marquee reads "Closed for the Season, see you next spring with the best movies". Hopefully this means another year for the 41-Twin in 2000. May 5, 2000: Opening night for the 2000 season. There appeared to be good crowds at all of the screens. The two movies I saw for the evening were Gladiator and American Beauty. Hopefully this will be the beginning of another great season at the 41-Twin. June 30, 2000: Back again! This time it was "The Perfect Storm" and "Gone in 60 seconds". Great weather and a good crowd. Industrial sized mosquitoes, though. I think I killed most of them… sigh. September 2, 2000: Nice night for movies, big crowds, and "The Cell" and "The Art Of War" were the features of the night. 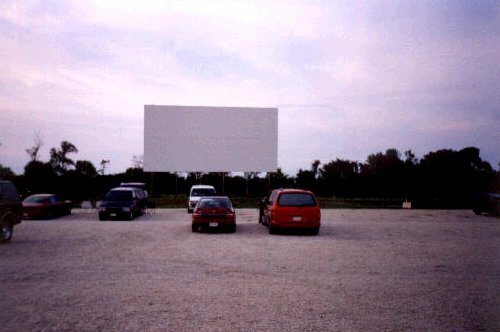 June 9, 2001: Kind of cloudy, a bit of rain, but fun night for movies. The place was packed for "Shrek" and "Evolution". 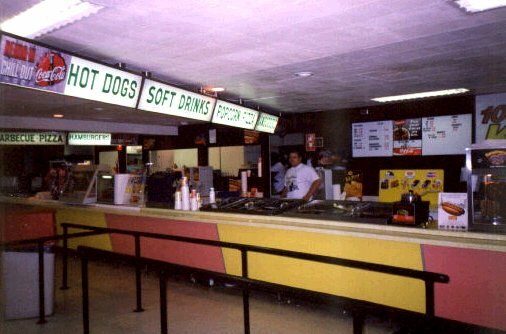 September 8, 2001: Sadly the concession stands were closed on this night. There was still a good crowd and the features for the night were "American Pie 2" and "Jeepers Creepers". 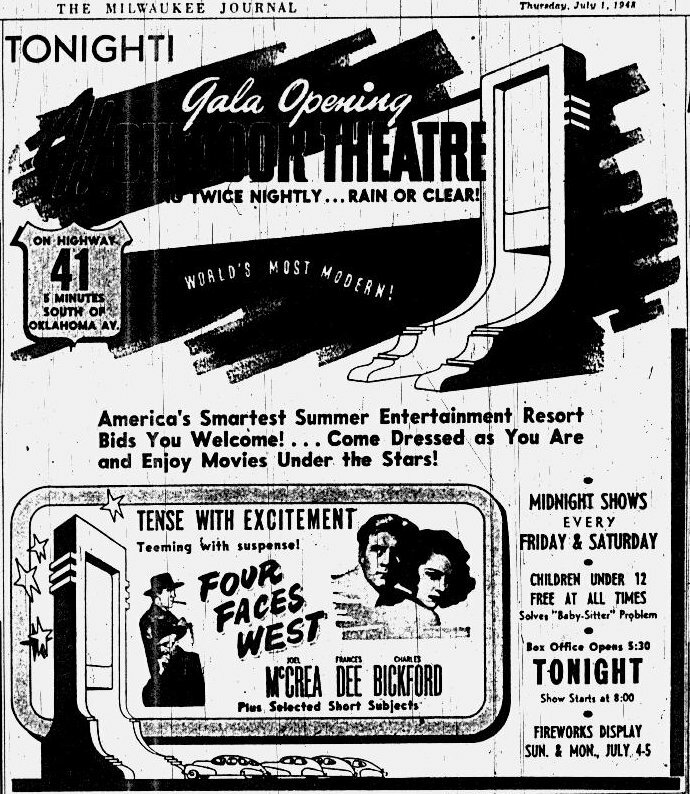 Advertisement for the July 1st, 1948 grand opening with just one screen! 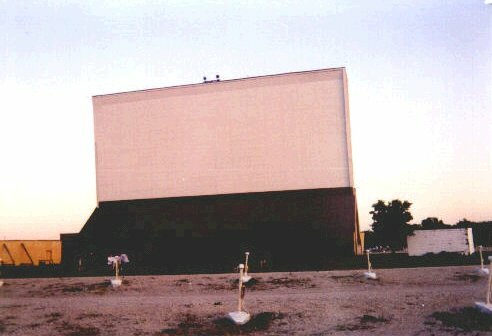 Screen 2 (facing south), screen 3 (facing north) is on the other side. 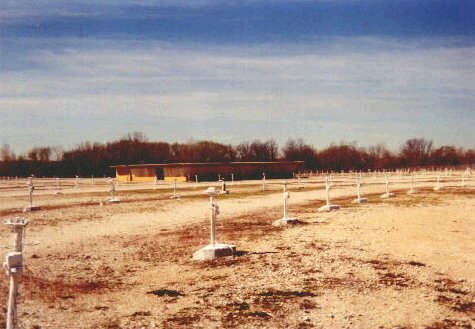 The two center screens from the highway, the old go-kart track is just behind the closest trees. Another ad from 1960 including the ad for the Go Cart track!